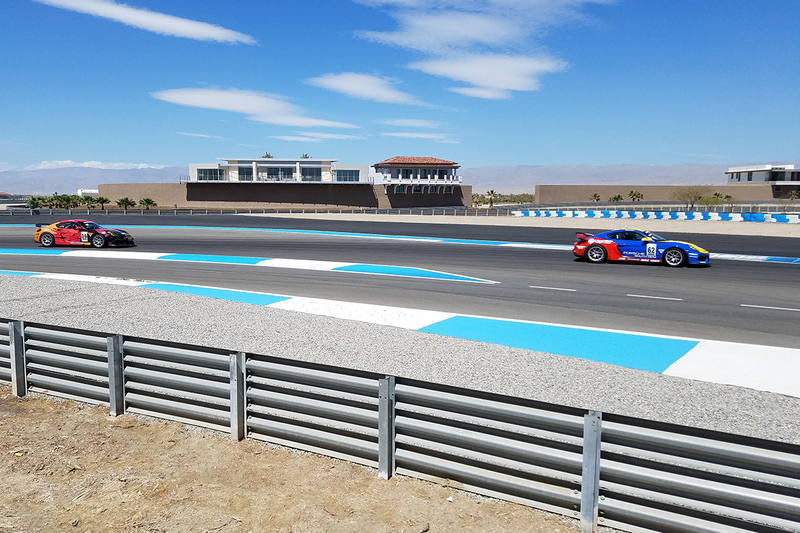 Thermal, Calif. (8 April 2018) – The battles were as heated as the weather on Saturday, as Kevin Woods and Carl Tofflemire each took overall victories in the Pirelli Trophy West USA series at The Thermal Club near Palm Springs, California as the series staged separate races for the GT3 and GT4 class machines for the first time. 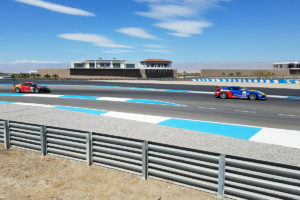 With temperatures in the California desert approaching 100 degrees F, swirling winds and dust clouds around the four-mile, 24-turn GT Track meant that the drivers had to manage not only their competitors but also the changing conditions. 33 Porsches in five different classes contested the two races: Diamond and Diamond Masters (2017-2018 991.2 GT3 Cup), Platinum (2015-16 991.1 GT3 Cup), Silver (Cayman Clubsport GT4 MR) and Bronze (2016 Cayman Clubsport GT4 Trophy) classes. 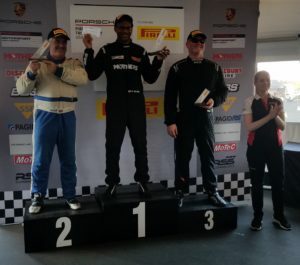 The classes were split into two races, with Silver and Bronze classes in the first race and Diamond, Diamond Masters and Platinum in the second. Woods, driving the No. 94 Mothers Polish/TruSpeed AutoSport 991.2 GT3 Cup Car, led all four practice sessions, took pole and held the lead through the full 40-minute flag to flag event. A first lap incident caused the first three laps to proceed under caution, but when the green flag came out for good, Woods got the jump and took the checkered flag by nearly 13 seconds over 911 Design’s Loren Beggs. After an early race battle with Beggs, Michael Zuieback (Competition Motorsports) took third overall and his third straight Diamond Masters class victory over Preston Calvert and Jim Walsh. 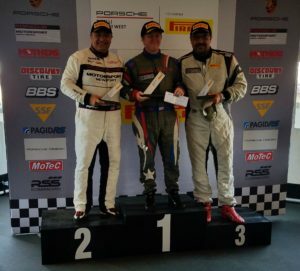 In the Platinum class for 991.1 Porsche GT3 Cup Cars, Sean McAlister put his No. 00 Competition Motorsports machine on the pole for the third straight race but TruSpeed AutoSport’s Ray Shahi made a lap-one move to take the position. As the green came out after the caution, McAlister made a daring move on the outside of Turn 7 to retake the lead. Shahi finished second, with Pinnacle Motorsports’ Gary Ferrara third. It was the first experience racing against the faster Diamond class cars for the GT4 class graduate, an experience McAlister had been anticipating since he made the decision to move up a class. Tofflemire and Laura Ely rejoined their Bronze class battle, having split the two races in Round 1 at Las Vegas. In the 9-lap, 40-minute flag to flag race, Tofflemire kept his No. 62 Porsche South Bay/Competition Motorsports Cayman Clubsport GT4 Trophy Porsche at the front of the field despite race-long pressure from Ely, who took several looks but could not distract Tofflemire into a mistake. Ely had a moment on Lap 6, with a quick spin in the dusty Turn 7, but got back on track quickly without losing a position. 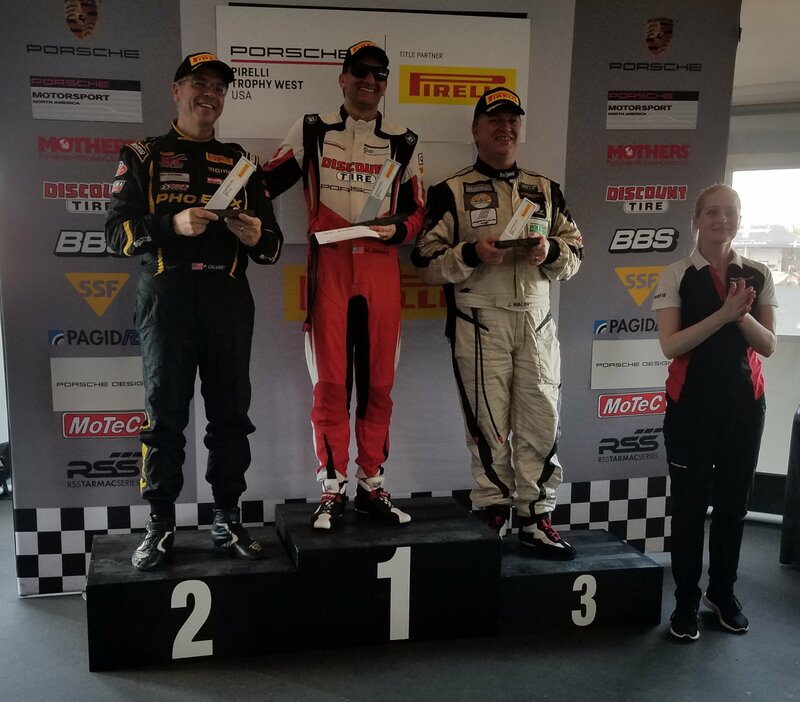 Martin Brauns (Flying Lizard) took third in the class after a late-race, back-and-forth clash with Silver class winner Chris Bellomo, driving the No. 67 TRG Cayman Clubsport GT4 MR. This entry was posted in News on April 8, 2018 by admin.